Even in the most coffee-crazed cities in North America, we've never seen the beverage before. So what is it, and could it be the next big thing? Of all the parts of the coffee plant (a bush, scientifically named Coffea), the leaves don’t really get much attention. The beans, which are actually seeds found inside small fruits on the bush, are one of the world’s most valuable commodities, up there with crude oil; they’re usually roasted and then ground for our morning brews. The fruits of the plant, typically called cherries (though they’re not related to the stone fruit cherries we commonly eat), are edible, and a beverage called cascara can be made from their dried husks. But the leaves are typically ignored. That’s starting to change. A small craze seems to be bubbling around what’s called “coffee leaf tea,” though it isn’t tea, really. The leaves, waxy and dark green, are left to dry in the sun before being slightly toasted, a similar process in the making of some green tea. When steeped like tea, they have some pretty impressive health benefits: no caffeine, and incredibly high levels of antioxidants. Coffee leaf tea isn’t tea, because the word “tea” isn’t a category of dried leaves steeped in hot water, but an actual plant called Camellia sinensis. True tea is made from the leaves of this plant, including black tea, green tea and white tea, the different colors a result of leaves being picked in different stages but mostly due to various curing techniques (fermentation, oxidation, drying, toasting, that kind of thing). Anything that is brewed like tea but isn’t a leaf from the tea plant is called a tisane, or herbal tea. Tisanes include mint, chamomile, rooibos, hibiscus, ginger and many more, and may or may not contain caffeine. True tea always has caffeine, unless it has been decaffeinated artificially. Coffee leaf tea isn’t tea, so what is it? But it also has some health benefits that go above and beyond other beverages. A study in the journal Annals of Botany showed that coffee leaf tea has extremely high levels of mangiferin, a compound often found in (and named after) mangoes. Mangiferin is thought to be an anti-inflammatory agent, as well as a protector against diabetes. But the study also found that coffee leaf tea is higher in antioxidants than pretty much anything else we know: higher than green tea, higher than blueberries, and much higher than regular coffee. Huh! 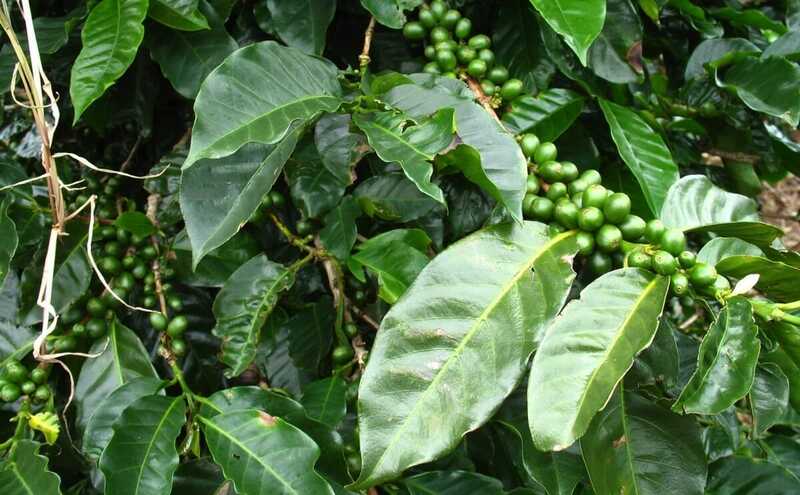 Coffee leaf tea isn’t so common because removing the leaves of the coffee plant reduces the plant’s ability to produce fruit (and thus beans), so most producers aren’t too interested in harvesting the leaves. But given how healthy and interesting the beverage is, that might change soon. Now you can try the “tea” by wize monkey leaf. i’m currently sipping a cup and landed here in my search to learn more about it.